Athens is the capital of Greece and is situated in the southern mainland region of the country. It is the largest city in Greece and one of the oldest in the world, dating back 3,400 years, to the 11th/7th Millennia BC. Athens is now and has always been the central political, maritime, cultural, industrial, financial, art, historical and economic city in the country. Due to mythology, the city was named after the Goddess of Wisdom – Athena, who beat off the attempts of Poseidon, God of the Sea, to be the Patron of the city. Due to its rich and historical background, Athens has many ancient monuments and buildings known worldwide, the most famous being the Acropolis (incl The Parthenon) and Daphne Monastery, both being UNESCO World Heritage Sites. The Acropolis was constructed by Pericles between 495 and 429 BC and is known as ‘The Acropolis’, as there are many acropolis’s in Greece, but this one in Athens is the most important and significant one. The word acropolis actually means highest point or extreme. The site includes the buildings; The Parthenon, Erechtheion and Temple of Athena Nike. It over-looks the city and is an amazing sight by day and night. It is only a short walk from the city centre, locate on a flat-topped rock, which is 7 acres in size and at a height of 150 meters. There is a long history of building work and reconstructions, which were carried out by several different rules, but also due to wars, earth quakes and age. Any visit to Athens should include a tour of The Acropolis, as it is not only one of the most famous buildings in the world, it is a part of the planets ancient history and provides staggering views of this great city. The cheapest ticket is only EUR20, but there are several other varieties that can be purchased. 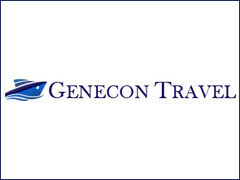 Genecon Travel specializes in sea excursions in Athens for people seeking privacy, adventure, fun and memorable moments of carelessness with friends and loved ones. The yachts are also available for on-board or at berth parties, business or personal meetings, lunch or dinner and diving. 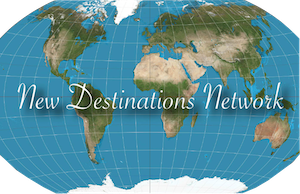 The company also provides combinations of land and sea excursions too. Daphne Monastery is located in Chaidari district, which is just over 10 kilometres from the centre of Athens. It is an 11th Century Byzantine Monastery, which sits on the edge of the forest that surrounds a’ laurel grove’, which is where it got its name from. It was built at the end of the 6th Century on the Sanctuary of Apollo, which was built in lonic style, some of the original thin and small columns of that temple remain. Several of the other columns are on display in the British Museum. The Greek cross if formed by the four barrel-vaulted arms that project from the centre bay. Small bays covered with groin vaults that intersect at right angles give the building its rectangular shape. The light from the windows at the bottom illuminates the vertical spaces, which have beautiful mosaics. It is believed the glass was made on site, which is unique and these mosaics are believed to be the best-preserved of that period. The most famous mosaic is Christ Pantocrator (Lord of the Universe), which is in the crown of the dome. The city of Athens has many stunning religious buildings, plus many pieces of famous architecture, art and culture. Some of the most popular for visitors are; National Architectural Museum, Hadrian’s Arch, Temple of Olympian Zeus and Acropolis Museum. There is also three that are located next to each other, so easy to visit in one go; National Library, Municipal Culture Centre and Academy of Athens. Also popular is the Panathenaic Stadium, a Greek sporting arena and represents the history of the Modern Olympic Games. Originally the scene of those famous ancient Greek warrior challengers, it symbolises sport around the world. Its uniqueness is taken a step further by the fact it is the only fully marble arena in the world. It is situated only a short walk from the city centre, so easily accessed on foot or vehicle. One of the lesser talked about features of the city, which makes it such a great place to explore on foot, are the many ‘squares’. Many are at the entrance to a Metro Stations, which are named after them, so jumping on and off the train is a way to see them. The fares are cheap too only a couple of Euro, even cheaper if a ticket for several days is purchases. They are easy to walk to and from, as many are only 5 mins apart, therefore several can be seen in one afternoon. The great thing about these squares are that they are all different, some have park areas, most have bars and restaurants, many have traditional and modern shops, a number have religious or cultural buildings in them, but they all have character. Popular ones are; Omonia, Kotzia, Klavthmonos, Monastiraki, Agoras and Syntagma. Syntagma is also the name of the central train station, which most routes intersect at some point, so it is useful to know its name and location (it is a 10 Euro fare from the Airport to reach the station and the same to return). The Metro lines are coloured Green, Red and Blue and are easy and safe to use. It is also the location of the parliament building, which is an impressive site, but it is where they have ‘the changing of the guard ceremony’. Members of the Evzones Unit of the army, carry out a complicated ritual at 11am every morning, as they change shifts in protecting the building. It is an elaborate display that takes some time, with the soldiers wearing ceremonial costumes, so worth a watch. A lot of the walking tours meet near there and it is also only a twenty minute walk to the Acropolis too. ‘Little Aiolou Street’ as it is known locally, is a section of this long street that is closest to the Acropolis and is a little gem of an area. It is a tree lined section of street with; churches, gardens, squares, bars and restaurants, shops, craft stalls and archaeological sites. Either on route to or coming from the Acropolis, try and take-in this area of the city, as it has a very cool vibe and atmosphere. It actually leads to The Ancient Agora of Athens, which is the best-known example of a Greek Agora and Tower of the Winds, which is an octagonal Pentelic marble clocktower. They are surrendered by squares, bars and restaurants and are at the base and start of the walk to the Acropolis. 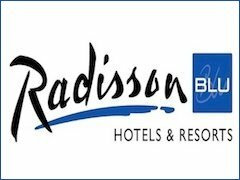 There are a variety of accommodation in Athens, but visitors will find it hard to beat the Radissonblu Park Hotel, with its roof-top pool, high class and uniquely designed; rooms, bars, restaurants, and conference rooms. Add to this, it’s convenient location, the delightful park directly opposite, well equipped gym & sauna, plus the top-class service from all the staff. A further treat would be to ask for a room with an Acropolis-View and it may even include a charming additional port-hole window with a tunnelled vision of the Parthenon, which at night is amazing. Athens may be a worldwide known destination and with globally renown buildings, but do not let this stop the city letting it show you its ‘real’ self. Of course, every visitor should visit all the main attractions, as they are iconic, but explore the streets of the city, especially the ‘squares’, as there are many of them and all with different styles, atmospheres and characters.